It’s a well-known fact that compression taping, ice baths and straight-up rest are some of the recommended ways to recover from physical training. But, what about cannabis? Well, it just so happens that CBD is showing a lot of promise in this area. While using CBD as a pre-workout supplement might sound crazy to some, it isn’t uncommon for elite athletes to use CBD as a muscle recovery tool. As we age and try to keep active, different forms of muscle pain seem to become more and more common. Above this, as we age, we tend to have more of a tendency to get sports-related injuries as well. The good news is that CBD could be a huge benefit to those to people looking to ease the inflammation and soreness that comes with intense exercise and training. CBD appears to have a much better antioxidant effect than vitamin C or vitamin D, which is why many athletes are using the compound to deal with inflammation. It’s a highly sought after supplement for those who are wanting to avoid other treatments such as steroids, which have significantly more side effects. To become stronger, faster, and fitter, you need to push your body harder. But, you have to rest too. All workouts, especially intense ones, stress the body. You’re tiring out or fatiguing various muscles when you work out, which means that you could be causing microscopic damage to muscle cells. Research has found that enzyme and hormone levels fluctuate, and inflammation increases when working out. While these changes to the body are good in the long run, leading to muscle growth, improved insulin sensitivity, fat loss, better cardiovascular health, reduced inflammation, and overall healthier bodies, you do need to give your body time for these good changes to happen before you stress it out again. This rest is known as muscle recovery, and it’s what allows people to benefit from their workouts. The damage caused by exercising triggers the body’s immune system to help repair the damage. When the body’s tissue – from your bones and muscles to lungs and heart – recover, they become a little fitter than they were before. This is why the next time you perform the same exercise, you won’t suffer as much damage. Muscle recovery is a critical part of physical training and sports. What happens in the body during recovery will differ depending on the person and the nature of the exercise, but these three things commonly occur during recovery in the body; muscle fibers rebuild, fluids are restored, and protein is synthesized. These are just a few of the important aspects of muscle recovery. It’s important to remember that athletes need to help the recovery process by giving their body the right rest and nutrients. One of the important supplements in this process is proving to be CBD. CBD seems to have gained it’s very own place on the platform of muscle recovery. The compound has risen to fame over recent years due to emerging science demonstrating its medical potential. Physical therapists and massage therapists have started to include CBD oils and lotions into their treatment regimes. What’s more, top-level professional athletes, like Nate Diaz, the 2nd-degree black belt and UFC lightweight and welterweight champion, have started to use CBD routinely to combat inflammation and pain. Whether you are in the process of trying to gain muscle or just looking to get healthy, CBD may play a helpful part in your exercise routine. Everyone from professional athletes to weekend warriors eventually suffer from some kind of tiredness or soreness at some point during there training. The body of an athlete is subject to injury, fatigue, wear and tear, and high impact. After a full day of training or a long event, athletes are bound to feel some of these side effects. If left unattended, even the smallest injury could impact their performance thereafter and may lead to long-term effects on the body. CBD could help to speed up the body’s natural recovery time, reduce pain, improve recovery of bones, nerves, and tissues, and reduce any negative effects on the body after a workout. One of the most substantial benefits of CBD is that it can reduce chronic inflammation – one of the biggest problems for athletes (and almost everyone) on a daily basis. These anti-inflammatory properties also help with the prevention of joint injuries and reducing pain from swelling. One of the incredible things about CBD is that it works as a natural aid in muscle recovery, that doesn’t only treat symptoms, but also works at the root cause. Years of medical research have found that cannabinoids, like CBD, interact with the body’s endocannabinoid system (ECS). This is the system that works within the body to control a variety of biological processes, such as sleep, immune responses, appetite, and mood. The ECS consists of a network of cannabinoid receptors that are found in the brain and immune system. By connecting with two of the main receptors; CB1 and CB2, CBD interacts with the ECS which helps it to achieve homeostasis – a natural state of balance in the body. This is believed to be one of the key ways that CBD helps to fight inflammation. The anti-inflammatory effects of CBD have been studied, and research has shown great promise in this area. While research regarding the effects on human muscles is limited, studies that have been done on animals thus far have clearly indicated what CBD may be capable of. Combining this evidence together with anecdotal reports from athletes makes for a strong case for using CBD to help with muscle recovery. A 2015 study that was published in the journal Bioorganic and Medicinal Chemistry looked at studies that talked about the anti-inflammatory properties of CBD and its analogs. One particular study explored the effects of CBD on rats who had acute inflammation that was induced by carrageenan injection. Between 5 and 40 mg/kg of CBD was given to the rats once a day for three days. Oral CBD was found to be beneficial for hyperalgesia (increased sensitivity to pain) and edema (swelling caused by fluid). Both hyperalgesia and edema are symptoms of inflammation. A preliminary study that was published in 1993 in the Brazilian Journal of Medical and Biological Research suggested that CBD works with the ECS to interfere with cortisol secretion in cases where the subject experienced a significant reduction in cortisol levels in the blood. This was reported by the US National Library of Medicine and National Institutes of Health. 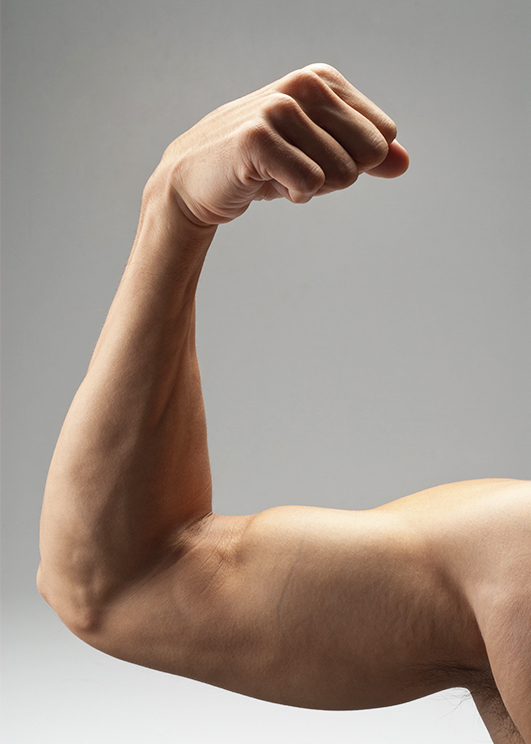 This means that CBD has the potential to slow the breakdown of muscle mass and help to build more muscles. After an intense workout or vigorous training session, you may be sore, tired, or even nauseous. A lot of people in this scenario might pop two or three Ibuprofens or crack a beer to relax and call it good. But what many people don’t realize is that NSAID drugs like Aleve and Ibuprofen are very dangerous – especially when they are used regularly. If deaths that result from the toxic effects of NSAID drugs alone were recorded separately, they would constitute as the 15th most common cause of death in the U.S. For just this reason alone, sticking to a more powerful, less toxic substance like CBD is highly recommended. 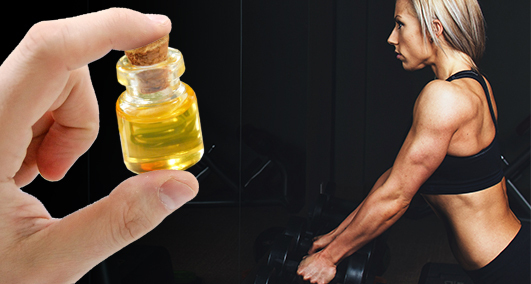 CBD for muscle recovery can be ingested in oil form, capsule form or topically as a cream. CBD salves and creams also have a spot in the fitness industry for pain relief, topical inflammation, and flexibility – things that are key to a successful and safe workout. It’s important for each person to research the different methods to leverage the benefits of CBD and test dosages to explore what works best for the body. CBD drops offer great absorption by the body. They are dissolved in oil and can be placed either on or under the tongue. Therefore the CBD is already absorbed in the mouth via the mucous membranes and can take effect more efficiently. There is no standard dosage recommendation. Once you have selected a CBD oil, it’s suggested that you start with a small amount. After a few days, you can increase the dosage until you feel the desired effects. The amount depends on your metabolism, body weight, and area of the body that you want to optimize. Once the desired effects have been achieved, you will no longer need to increase the dose. CBD is quickly becoming an important part of many workout routines. In fact, in oil or capsule form, CBD is an essential part of any holistic health and wellness routine. Whether you’re an amateur jogger, busy mom, or professional athlete, CBD could be a helpful supplement. Simply put, an increasing number of people are beginning to question western medicine and are looking for a more natural approach to fight disease and pain – and cannabis extracts are clearly rising as a possible solution. If you’ve been thinking about using CBD oil for muscle recovery, give it a shot and join the dozens of high profile athletes that have already done so. Jack from Ashburn just bough! Madelyn from Ashburn just bough! Thiago from Ashburn just bough!